The only turnkey, industry compliant, SEO-optimized website solution for Mortgage Professionals. Drop in your logo, personalized value statement, and story. Customize your color scheme, and bring your own domain name. 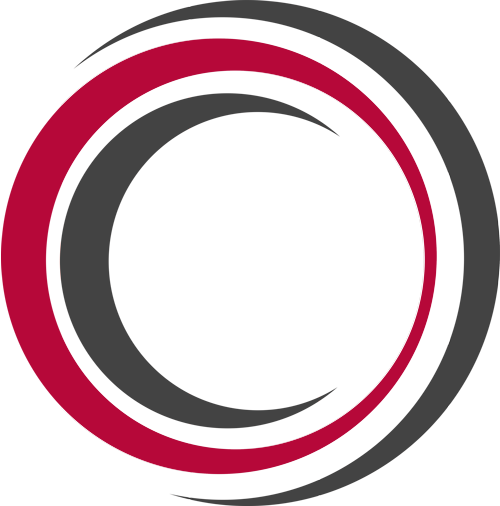 Our sites are subject to strict legal testing and have placeholders for all necessary disclosures and privacy agreements tailored to your company’s needs. Offer your clients and referral partners high-quality, comprehensive content for engagement and prospecting. Mortgage calculator & lead capture drives traffic and exploration. Interactive and inspiring for prospective clients. Blogging keeps your customers up-to-date on new developments and engaged with your practice – and it’s a great way to boost SEO while showcasing success stories. Bolster credibility with accreditations and memberships. A virtual trophy room. Display with pride. 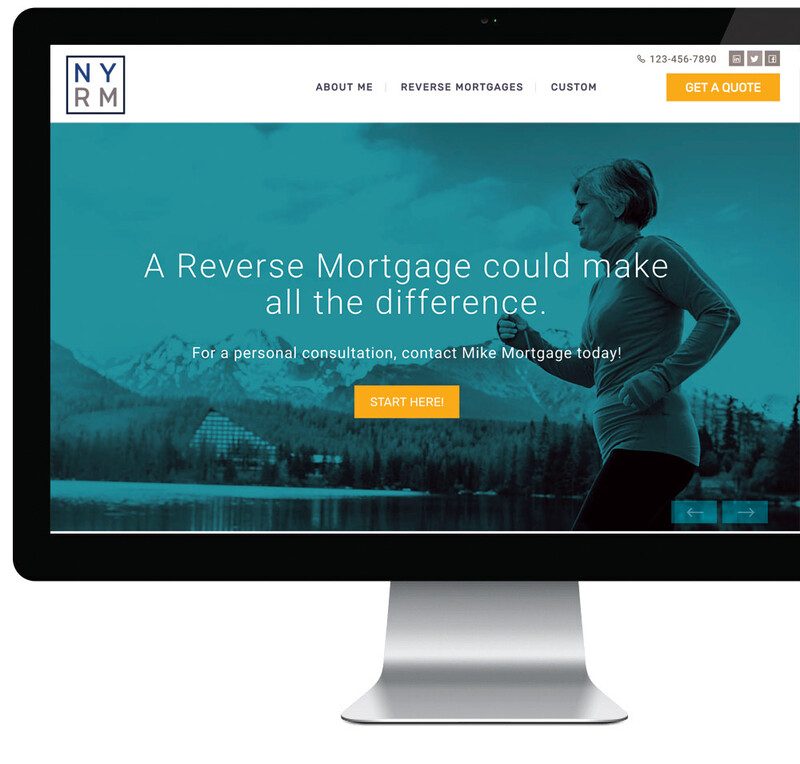 The only turnkey, industry compliant, SEO-optimized, blog-ready, mobile-responsive website solution built for Mortgage Professionals. Loaded with a modernized lead funnel which injects leads from your website straight in Sales Engine CRM. 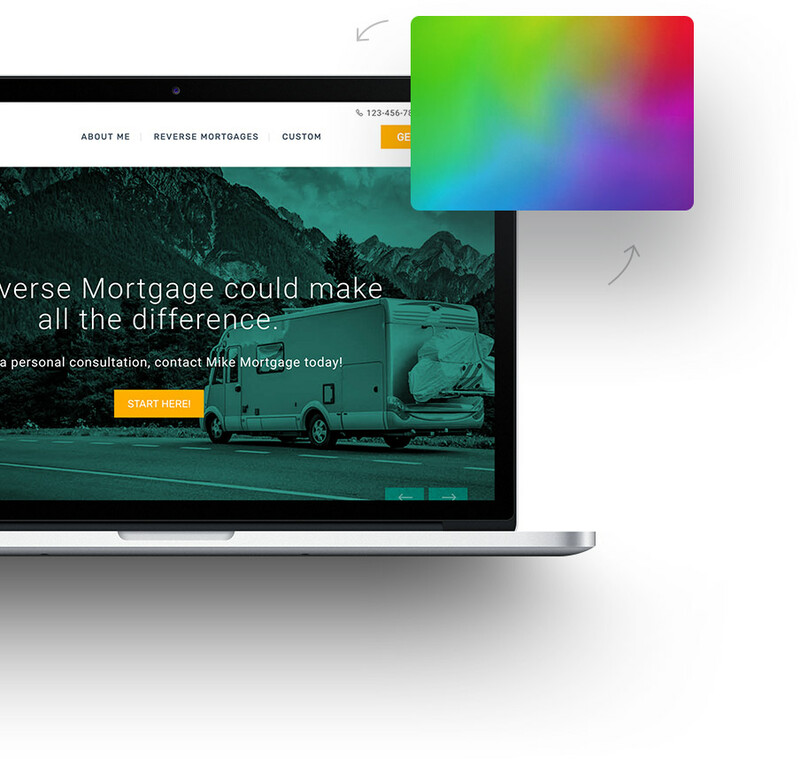 Reach borrowers with a sleek, compliant online presence that showcases your brand with 10 original color themes and limitless customization to content and images. Pages of compliant, educational content. Designed for Consumers and Referring Partners. Built for Originators. User experience (UX) is key to converting website traffic. This is why we’ve simplified the website layout and sections; to make the site less cluttered, and easier for users to find important information. Effective call-to-action’s eliminate confusion, allowing users to take the appropriate next steps. That might be completing a quote request form or making a phone call. Video is entertaining, visual, and is a powerful tool to convert leads. A video on your landing page can increase your conversion rate by up to 80%, according to EyeWideDigital. Increase reach to customers and clients on smaller devices (tablets & smartphones). A consistent experience that can increase lead generation, sales and conversions. Stop wasting time and money on outdated website technology. Let’s build your new website.